Ever since Spy Vibe reported that a new print of the film Tonight Let's All Make Love in London was being screened at the Royal Albert Hall my mind has been in overdrive, as it were, thinking about the shifts in culture around 1966-67. The Beatles pushed rock music into new territory through their experiments on Rubber Soul, Revolver, and on their groundbreaking studio masterpiece, Sgt. Pepper's Lonely Hearts Club Band. 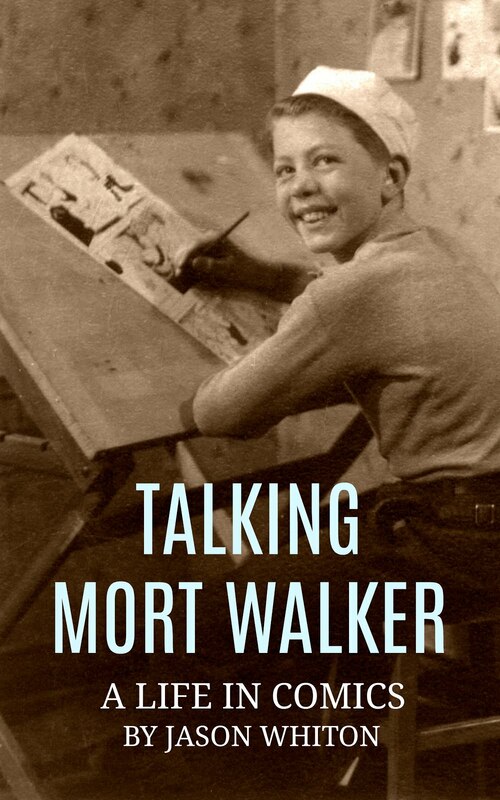 Batman led a wave of Pop Art and camp on television, and the patriotic adventures of the Spy Boom began to expand into the counterculture. 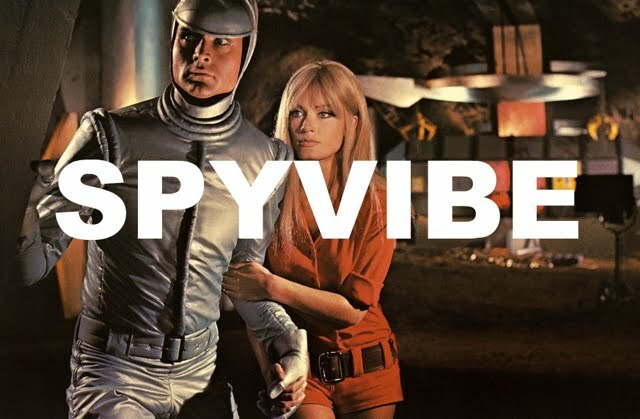 Revolution and mistrust were high (no pun intended) in the point of view of projects such as The Prisoner, Captain Scarlet and the Mysterons, Head, and Danger Diabolik. The focus of the youth movement became more concerned with freedom, peace, pleasure, and consciousness. It's interesting that Pink Floyd, another EMI band, spoke about making music that was intended to be experienced, rather than enjoyed simply for melody. I like this Pink Floyd footage below, which was used on Granada television and featured their track Interstellar Overdrive (Doctor Strange movie fans might recognize the tune). I can't wait to see more footage once Tonight Let's All Make Love in London is released on Blu-ray. People were pushing into new territory in the final years of the sixties. Paul McCartney once summed up "psychedelic" as a word used by people to describe new things they didn't understand- an explanation that was repeated in the Granada piece below. Sean Lennon and Les Claypool have been keeping the eternal flame of experimentation and psychedelic music alive and they recently covered Pink Floyd's Astronomy Domine on their Record Store Day EP, along with covers of King Crimson, The Who, and others. See video below. If Spy Vibers are interested in exploring the early Pink Floyd, check out the new CD series The Early Years 1965-1972. Casual fans can pick up individual volumes, each containing rare recordings and film/video, but there is also a massive set for serious fans and collectors. More info at Pink Floyd. The V&A in London also just launched a new immersive exhibit called Their Mortal Remains, which looks amazing. I can't wait to see the show and check out artifacts from the band's 1960s era. More info at V&A. I was never a huge Pink Floyd fan growing up; I often found their music music a bit too jammy and depressing. But I must say I quite enjoy the early era with Syd Barrett. Does anyone else hear strains of Piper at the Gates of Dawn in Blur's Britpop albums? Fun stuff all around! By the way, stay tuned for cool Beatles news! Spy Vibers, have you heard my new radio show with Cocktail Nation? Episode #3 is coming up and I'll be talking about On Her Majesty's Secret Service. Here are info links for Episode #1 (Danger Man) and Episode #2 (The 10th Victim). Enjoy! 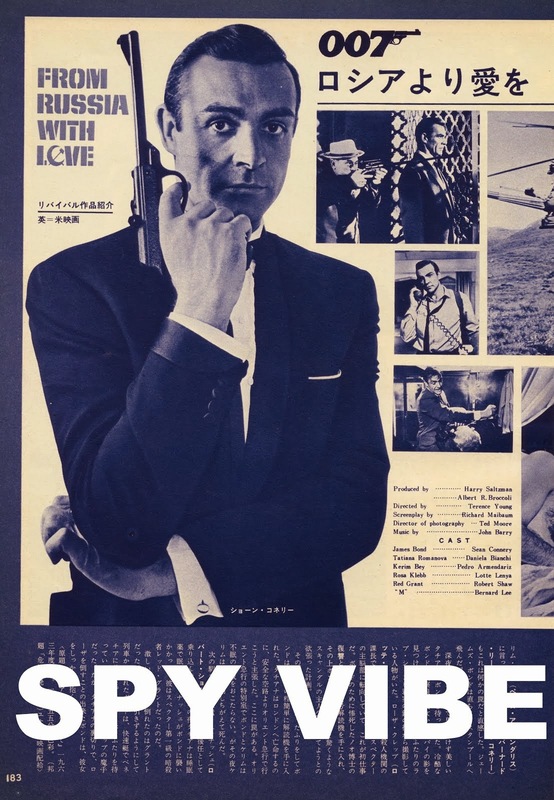 Selected Spy Vibe Posts: Make Love in London, Spy Vibe Radio 2, Spy Vibe Radio 1, James Bond Strips, Propaganda Mabuse, Fahrenheit 451 50th, Interview: Police Surgeon, XTC Avengers, 1966 Pep Spies, Batman Book Interview, Exclusive Fleming Interview, Avengers Comic Strips, Robert Vaughn RIP, UNCLE Fashions, Thunderbirds Are Pop!, Interview:Spy Film Guide, Lost Avengers Found, The Callan File, Mission Impossible 50th, Green Hornet 50th, Star Trek 50th, Portmeirion Photography 1, Filming the Prisoner, Gaiman McGinnins Project, Ian Fleming Grave, Revolver at 50, Karen Romanko Interview, Mod Tales 2, Umbrella Man: Patrick Macnee, New Beatles Film, The Curious Camera, Esterel Fashion 1966, Exclusive Ian Ogilvy Interview, 007 Tribute Covers, The Phantom Avon novels return, Ian Fleming Festival, Argoman Design, Sylvia Anderson R.I.P., Ken Adam R.I.P., George Martin R.I.P., The New Avengers Comics, Trina Robbins Interview, The Phantom at 80, 007 Manga, Avengerworld Book, Diana Rigg Auto Show, The Prisoner Audio Drama Review, David McCallum novel, Andre Courreges R.I.P., Who's Talking on Spy Vibe, UFO Blu-ray, Avengers Pop Art.